The General Assembly (GA) is the highest authority and decision making body of EURAMET. Each member is represented by a Delegate. The General Assembly meets once per year to decide on EURAMET's strategy and objectives. On this page you'll find an overview of all EURAMET GAs. Borås in Sweden will be the location for EURAMET's 13th General Assembly. The event will take place on 21st to 24th May 2019 and will be hosted by RISE, the Swedish National Metrology Institute. 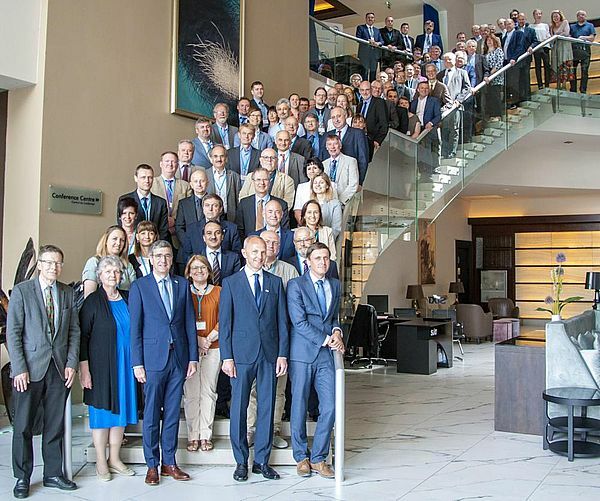 EURAMET’s 12th General Assembly took place in Bucharest, Romania from 28 May to 1 June 2018. It was hosted by INM, the Romanian National Metrology Institute. EURAMET's 12th General Assembly took place in Bucharest, Romania with more than 100 participants. Source: https://www.euramet.org/about-euramet/general-assembly/© 2019 EURAMET e.V. is a non-profit association under German law.